The fare hike announced by former Railway Minister Dinesh Trivedi in the 2012 Railway budget has been partially withdrawn by the newly appointed Railway Minister Mukul Roy on Thursday. The increased ticket rates introduced in the budget were met with strong protests by Mamta Banerjee in Parliament, which subsequently lead to the resignation of Dinesh Trivedi. 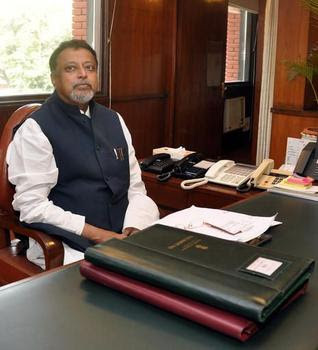 On Thursday Railway Minister, Mukul Roy announced that the hike would be withdrawn from all except 2 AC and 1 AC classes. For the latter too, the fare is to be increased at 15 paise/km or 30 paise/km. “I intend to give relief to the already burdened common man by not increasing fares in any of these classes,” the new Railway Minister said in Parliament. An increase of 2ps/km for passenger trains, 3ps/km for main trains, 5ps/km for sleeper class tickets and 10ps/km for three tier AC was announced in the 2012 Railway Budget. The hike in fares was made to meet the required funds to assure the quality of infrastructure and safety. But Mukul Roy told Parliament that there were other means to find the required funds.